Pistol Annies pals Miranda Lambert and Ashley Monroe headline Nu Country TV with Georgian star Jason Aldean at 9 pm on Saturday October 13 on Channel 31/Digital 44. Texan singing stonemason Kevin Deal debuts Behind Bars with Kentucky bluegrass veteran Ricky Skaggs on the program repeated Sunday at 11.30 pm and Monday 3 pm. 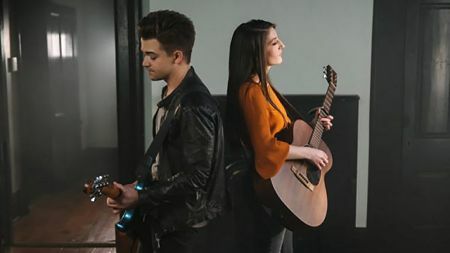 Irish singer Catherine McGrath and Louisiana singing actor Hunter Hayes perform a duet on the show filmed and edited by Laith Graham. Expatriate New Zealand singer-songwriter Matt Joe Gow is joined by a colourful cast on his return. 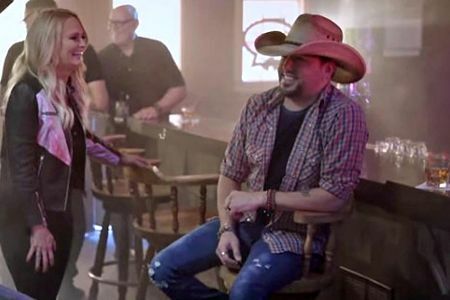 Georgian star Jason Aldean and Texan troubadour Miranda Lambert showcase what historic Tennessee city Lynchburg is most famous for - Jack Daniels whiskey. Jason, 41, and Miranda, 34, perform their vivid video for Drowns The Whiskey from Jason's eighth solo album Rearview Town . Aldean chose the song with Lambert as a heartache drinking duet. “I sent her a couple of things and this was one of them,” Aldean revealed. Aldean toured here with Florida Georgia Line , who filmed their Holy video at the scenic Loch Ard Gorge near the 12 Apostles on the Shipwreck Coast , in 2016. Miranda has been touring to promote her sixth album The Weight Of These Wings after she split with singing spouse Blake Shelton. Fellow Pistol Annies Ashley Monroe and Angaleena Presley joined Miranda on stage in Ashley's home town Knoxville and Cleveland, Ohio, on her Living Like Hippies tour. They release third album Interstate Gospel on November 2 after a five year hiatus. Their 13 new originals are Stop Drop and Roll One, Best Years of My Life, 5 Acres of Turnips, When I Was His Wife, Cheyenne, Got My Name Changed Back, Sugar Daddy, Leavers Lullaby, Milkman, Commissary, Masterpiece, Interstate Gospel and This Too Shall Pass . “I think it's the best writing we've ever done,” Lambert says. "Something about being together makes us a force to be reckoned with. We can get more raw and rugged than we would alone. We've lived a lot of life since our last record. I think its three girls telling our story very bravely. We want to know we're not alone in all of our issues, you know? I mean, I do want to hear more female artists. I want to feel like someone's telling my story." CLICK HERE for an Aldean interview in The Diary on March 30, 2015. CLICK HERE for a Jason CD feature in The Diary on February 27, 2017. CLICK HERE for a Miranda CD feature in The Diary on March 20, 2017. Knoxville girl Ashley Monroe roams through thick trees and shallow streams in her latest vivid video. She wrote Wild Love with Texan singing actor Waylon Payne for her fifth solo album Sparrow . Monroe, 31 and mother of a son Dalton, has written a brace of songs with Payne and Texan Jon Randall. Ashley, wife of former Chicago White Sox pitcher Jon Danks, wants to tour here solo or with the Pistol Annies. CLICK HERE for our interview with Ashley in The Diary on July 2. 2018. Expat Kiwi Matt Joe Gow returns with a stellar cast of local studio guests. They include Kiewa Valley born Gretta Ziller, Katy Harrop, Highett bluegrass band The Weeping Willows and their neighbour - Dead Livers pedal steel guitarist Brendan Mitchell. Gow and guests perform Ride On from Matt's third album Break, Rattle & Roll that was launched released this month. CLICK HERE for our Gow interview in The Diary on September 26. 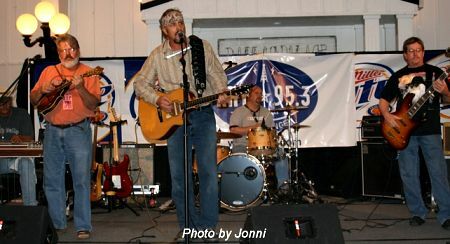 Texan singing stonemason Kevin Deal debuted on Nu Country FM in a live phone interview during our radio era at the Paris, Texas, end of Collins Street in 2001. Deal, 56 and father of six, lives in Weston, Texas, and debuts on Nu Country TV in Behind Bars with a live version of I Need A Revival that follows his ninth album The Long Road Home. Kevin recorded his 14 song disc produced by Lloyd Maines at The Zone in Dripping Springs. It's the famed town that hosted the first of Shotgun Willie Nelson's 44 July 4 picnics and latter day home of chart climbing trio Midland . CLICK HERE for our Kevin Deal CD feature in The Diary on August 6. 2018. 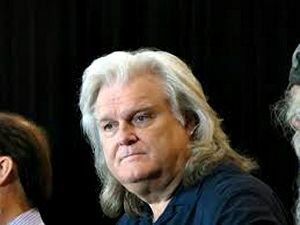 Kentucky bluegrass star Ricky Skaggs returns to Behind Bars with a live song of praise featuring The Whites. Ricky, 64, has released more than 40 albums since 1975 including some with singing spouse Sharon White and The Whites . I Wouldn't Change You If I Could debuted on Skaggs's 1982 album Highways & Heartaches . Veteran hit writer Whispering Bill Anderson was in the audience for this version. Skaggs wed Sharon in August 1981 and sired a daughter, Molly, and son, Lucas. The icon cancelled an Australian tour last decade after tickets went on sale at St Kilda Palais. Ricky also appeared on Nu Country with his Blue Night video and was backed by Simply Bluegrass. Skaggs released his autobiography Kentucky Traveller ( Harper Collins ) on August 13, 2014. He wrote it with Eddie Dean who penned prize-winning Man of Constant Sorrow: My Life and Times with bluegrass legend Ralph Stanley. Skaggs was born in Cordell, Kentucky, and began playing music at five after he was given a mandolin by his father, Hobart. At six he played mandolin and sang on stage with Bill Monroe and at seven appeared on Martha White's country TV variety show with Lester Flatt and Earl Scruggs. In his mid-teens he met fellow teen prodigy - late guitarist-singer-songwriter Keith Whitley - and played with Whitley's banjoist brother Dwight on radio shows. In 1970 they opened for Ralph Stanley and joined his Clinch Mountain Boys . After four years with Stanley he performed with the Country Gentlemen, J .D. Crowe & the New South and Emmylou Harris' Hot Band . Ricky, a multi-instrumentalist on mandolin, fiddle, guitar, mando-caster and banjo, began his solo country career in the early 1980s and formed lauded band Kentucky Thunder . He became a Grand Ole Opry member in 1982, country and bluegrass hall of famer and won 14 Grammys in his 30 album plus career. Ricky's 2012 album, Music To My Ears , on Skaggs Family Records was followed by 2013 live duet album Cluck Ol' Hen with Bruce Hornsby. Irish singer-songwriter Catherine McGrath and Louisiana singing actor Hunter Hayes perform a duet on Don't Let Me Forget from her debut album Talk Of This Town . Catherine, 21, toured Australia last month with Novocastrian Morgan Evans - singing spouse of Tennessean Kelsea Ballerini. “When I wrote Don't Let Me Forget it was never intended as a duet and then I really wanted to put it on the album and it was like “oh wow, this sounds like a duet,” McGrath revealed. 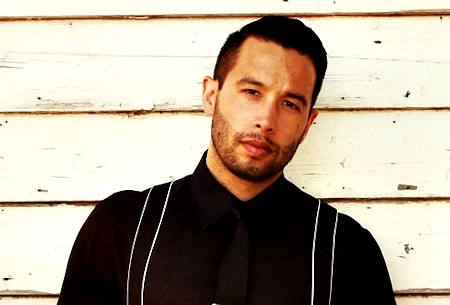 Hayes, 28, hails from Louisiana and also played the Prince Of Wales Hotel in St Kilda in April, 2015. He appeared in Robert Duvall movie The Apostle with Billy Joe Shaver, Billy Bob Thornton and June Carter Cash. The four time Grammy nominee was just six when Duvall gave him his first guitar and hired him for The Apostle . At seven he performed for President Bill Clinton at a White House lawn party and was a child star in movies Figure It Out, My Dog Skip and Charley's War . The multi-instrumentalist, proficient on 30 instruments, appeared in 2016 movie Bella and the Bulldogs. Hayes has released three albums, five indie discs, live EP and played guitar on Listen To The Music with Oklahoma star Blake Shelton on the Doobie Brothers tribute disc Southbound . CLICK HERE for a McGrath interview in The Diary.